Studio apartment with a sleeping alcove and dressing area. The living area is spacious enough to accommodate a dining table. Unit has great closet space and potential with a little tlc! 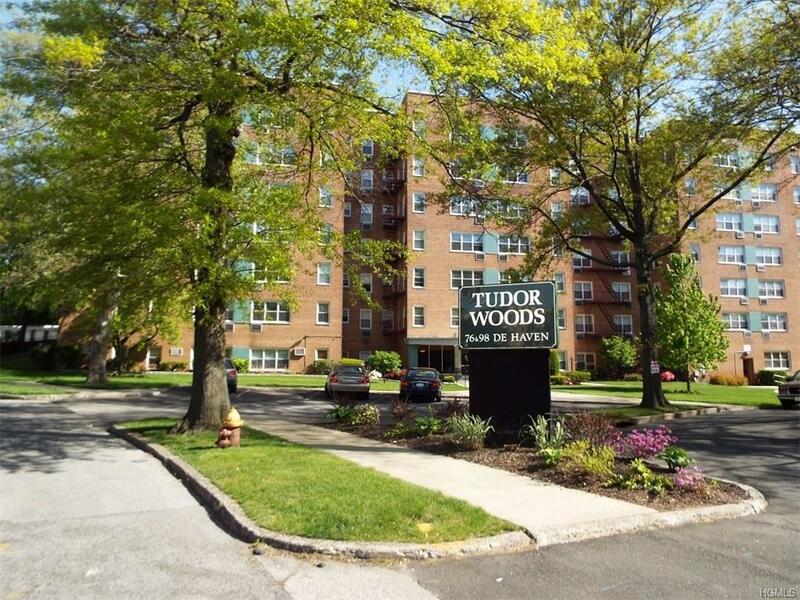 Tudor Woods is located on DeHaven Drive which is nestled between Palisade Avenue and North Broadway. The complex has assigned parking for additional $40 per month, a laundry room, playground, basketball half court and outdoor in-ground pool. You can catch the bus directly out front! Monthly maintenance is $500.66 which includes your heat, hot water and is 50% tax deductible. New owner can apply for STAR credit after closing which will reduce the monthly maintenance. 20% down payment and board approval is required. Subletting is not allowed. Listing courtesy of Debbie Shea of Century 21 Schneider Realty.